Adjust the number of fish in a lake to be tagged and the number of fish to be recaptured. 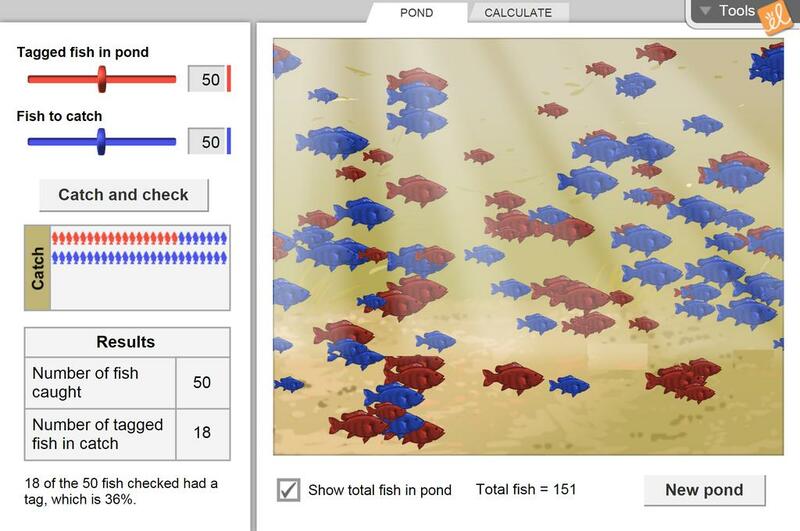 Use the number of tagged fish in the catch to estimate the number of fish in the lake. Have taken the current Exploration Guide and created a version for student to use. How can proportions and averages be used to estimate populations you could otherwise not observe? In determining populations of a variety of species, one method biologists use is tagging. Great follow up to a turtle tag and recapture activity.